At the Beth Am Synagogue in Reservoir Hill, the line to vote this morning snaked out the door, a particular hardship given the pounding rain. “We have been standing here in this line with no one telling us what’s going on. I have been here since 7 o’clock,” said Kim Hill, who was in out of the rain and had still not reached the sign-in table at 7:45 a.m. 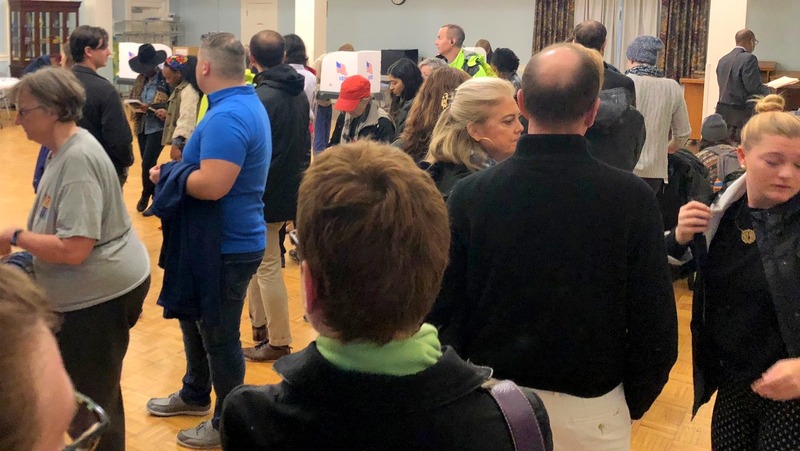 Voters, some of whom left in disgust, told The Brew the polling place, which serves precincts 8 and 9, opened late and that unspecified problem caused an immediate delay. A Precinct 8 election judge explained the hold-up. “A new chief judge wanted some i’s dotted and some t’s crossed,” Karen Johnson said. By 8 a.m., the concerns were resolved and this northwest Baltimore precinct was back on track, according to Johnson. But some of those still stuck in the line remained frustrated. “It was not like this the last time I voted here,” Nicole Saunders said. At the Keswick Home in North Baltimore, more than 50 voters stood in a line that snaked around the room. Several people complained that they needed to get to work and had to leave. At the Enoch Pratt Central Library mechanical problems delayed the start of voting, causing some to leave in frustration. Then another problem became apparent – voters were not being given the second page of the ballot, which includes ballot questions. 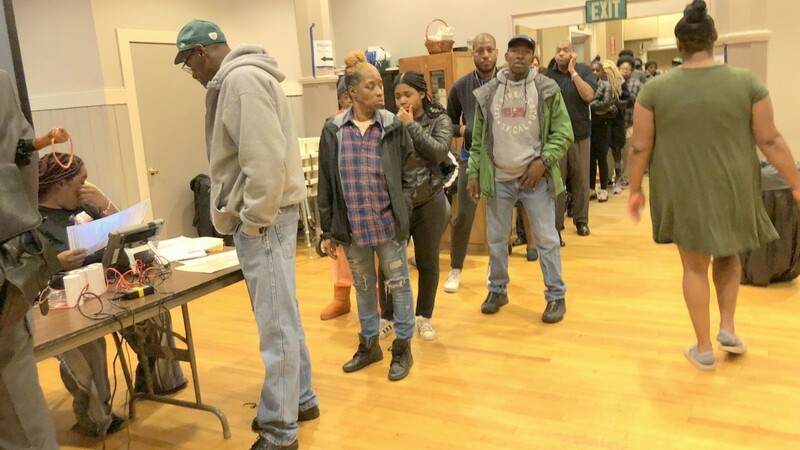 By the time the error was discovered, as Baltimore Patch reported, 40-50 people had voted. Delays were also reported in other city precincts including Federal Hill Elementary School and the Solo Gibbs Recreation Center in South Baltimore, according to Meredith Curtis Goode of the American Civil Liberties Union of Maryland. She encouraged voters with problems or concerns to call the ACLU of Maryland Election Protection Hotline (410-889-8555) for assistance. The hotline is operated by trained staff and volunteers, she said, who can assist voters experiencing problems and investigate complaints at the polls. “The ACLU seeks to protect every Maryland voter from misinformation and intimidation at all stages of our electoral process and help with problems that arise on Election Day,” added Amy Cruice, the ACLU-MD’s election protection campaign director.